Dracaena Marginata, often called the dragon tree, is a popular indoor plant originally from East Africa that is often used to adorn homes and offices. Easy to care for because of its low light and water needs, it features green, thin leaves with red and yellow strips along the edges; these grow from a thin cane that can reach heights of 15 feet (or 5 meters). The best way to grow dracaenas is to buy a small one from a nursery and plant it in a simple pot. After that, the necessary care is very simple. As the plant ages, it will continue to grow and sprout new branches and leaves up to 2 feet or 2/3 of a meter long, while lower leaves may fall off naturally. Dracaena marginata is an attractive, stiff-leaved plant with colorful foliage that sometimes goes by the name dragon tree. 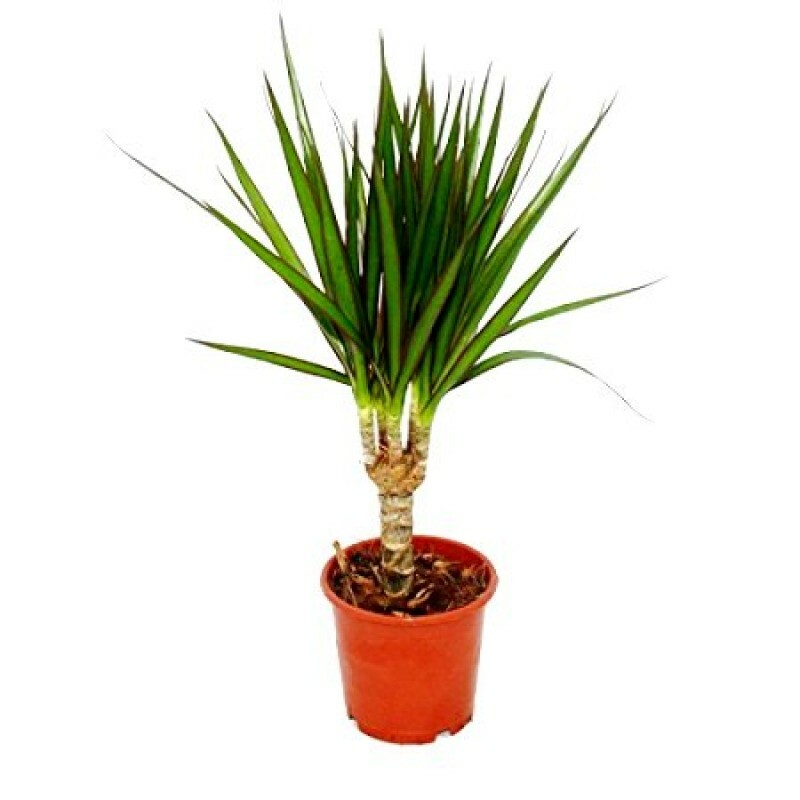 Most of the time, though, it’s sold simply as “Dracaena marginata” or just “Dracaena.” These are tough, drought-tolerant plants with aggressive root systems that make excellent houseplants they are a little more forgiving than some of the other dracaena. It helps that they’re attractive and varied. They are sometimes grown as single-stemmed plants; other times grouped or even braided together in the same pot. Water: Allow the plants to dry between waterings, but not completely. These are more susceptible to root rot, so be very careful never to allow them to sit in water. Temperature: They thrive between 65ºF and 80ºF. They will suffer if it gets too cold and cannot tolerate freezing. Fertilizer: They have a lower need for fertilizer, so fertilizer lightly at the beginning of spring or twice a year with controlled-release fertilizer. D. marginata roots easily from root tip cuttings so easily that it’s often used in dish gardens and readily propagated by nurseries and retailers. It takes about three weeks for a cutting to sprout roots, and rooting hormone isn’t generally necessary. Repot as necessary into larger pots, but since they grow so slowly, they might not need to be repotted more than every second or even every third year. Refresh potting soil annually with fresh soil to replace any that has compacted. D. marginata is not a difficult plant to care for indoors. Keep it on the dry and warm side, and give it plenty of light, and the plant should respond. Like other plants in its genus, D. marginata is sensitive to fluoride, which can cause discoloration. Water with distilled or nonfluoridated water. Although they are usually disease resistant, D. marginata are susceptible to scale, mealybugs and thrips.